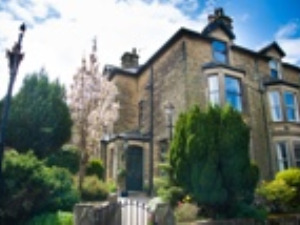 Compton Guest House Guest HouseCompton house Is an original Victorian Guest house in Buxton, Derbyshire the centre of the Peak District with all its original features (open fire places in most rooms / high ceilings and retro décor). We are a family business who have recently taken over and as well as putting an up to date stamp on the house, we are trying to create a warm homely feeling on a warmly low price! We are situated in the heart of Buxton market town with close walking distance to all the main attractions: Buxton Opera House, Pools Cavern, Spa baths, Parks, Pavilion Gardens, Market place. The Old Court House and George Street & Quadrant area is home to a wealth of great places to eat, whilst the Cavendish Arcade features a range of independent boutique shops craft and gift emporiums whilst Spring Gardens Shopping Centre offers well know high street names. A short drive or cycle will take you to the Goyt Valley National Park, Bakewell, Chatsworth and Haddon Hall. We have a large south facing patio area where you can sit and relax with tea and biscuits, wine and beer. There is a safe indoor lock up for bicycles or any other equipment and plenty of parking. Buxton has its own train service that runs straight into the heart of Manchester and the station is walking distance from the guest house we can provide free maps. A warm welcome awaits you at Compton House, an original Victorian guest house in Buxton, Derbyshire complete with all its original features. Situated in the heart of Buxton with close walking distance to all the main attractions. We are in partnership with 5 ways cafe which is a 1 minute walk from the guest house so if you require a good full English breakfast we can provide you with discount bands for the cafe free of charge Children welcome from any age. Compton Guest House sometimes limits bookings to 2 or more days. Double Room 5 sometimes limits bookings to 2 or more days. Family Room 6 sometimes limits bookings to 2 or more days. From the A515 Ashbourne Road, pass the petrol station on your right and take the next left turn into Mosley Road. Compton Road is he next right turn and Compton House is near the end of the road on your left. From A6 Bakewell, go left at Morrison's roundabout and then at Fiveways traffic lights, take the second left in to Green Lane and then the first left into Compton Road. We are on the right just after you turn. From A6 Manchester, go left at the first roundabout and right at the second Morrison's roundabout and then follow directions above. From A53/ A54/ A537 head into Buxton and then fork right at traffic lights on to Macclesfield Road. At Fiveways traffic lights, take sharp right (almost a U-turn) into Green Lane and then the first left into Compton Road. All buses stop at the Market Place, a 5 minute walk from Compton House. The nearest railway station is Buxton station. Friendly staff, and good facilities with a fabulous continental breakfast.